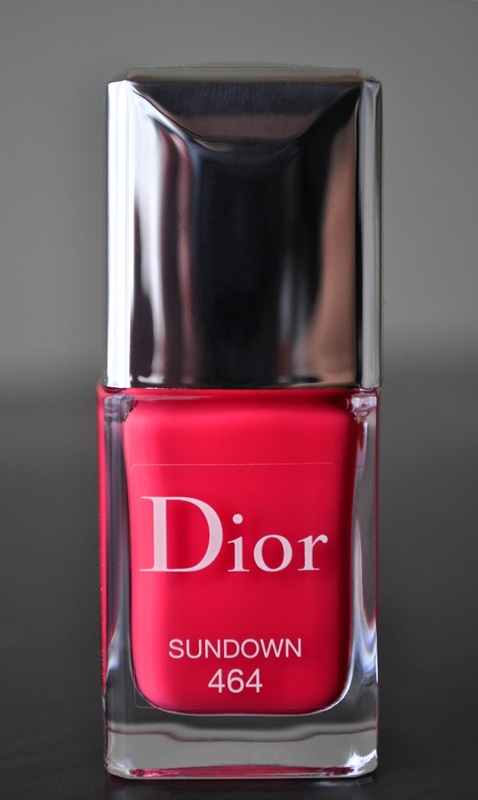 I had a hankering to wear something bright (without being neon) and pink on my nails, and Dior's Sundown 464 aptly fits my mood. Sundown 464 is a bright, coral-pink with a creme finish. Is the shade unique?...no, but it's still a pretty color for Summer, and with 35 days left in the season, I can get a few more wears before putting her into cryosleep until next Summer. 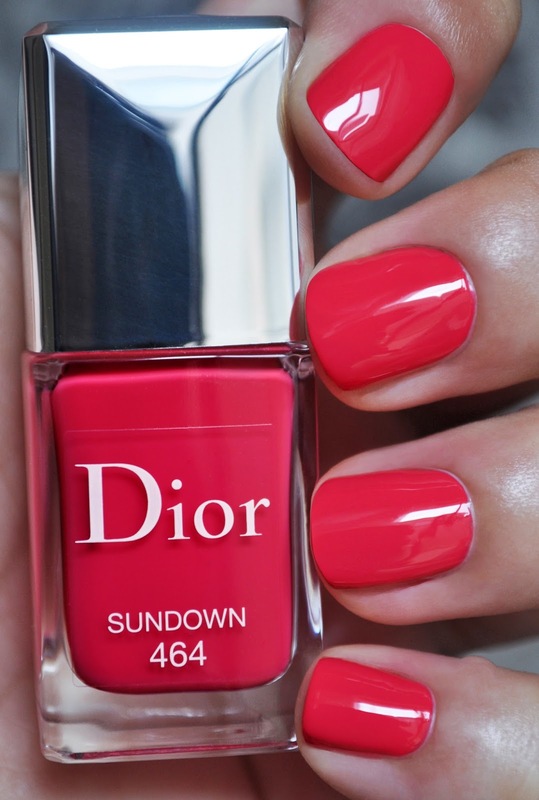 The true test, of a winning shade, is in the praise; whenever I've worn Sundown, I get a lot of compliments. A few days ago, I was talking to my sister via Skype, and she complimented the color. Everything about this lacquer is great. Great shade, great formula, great application, great pigmentation, great wear (four days), and overall, GREAT! I adore black polishes, so, prepare to see a lot of them during Fall and Winter. Also, I mainly wear black, and the only color I wear is on my nails, makeup, shoes or bags. I declare excellent fashion sense!